Discussion in 'Forza Horizon 4' started by GTPNewsWire, Mar 28, 2019. 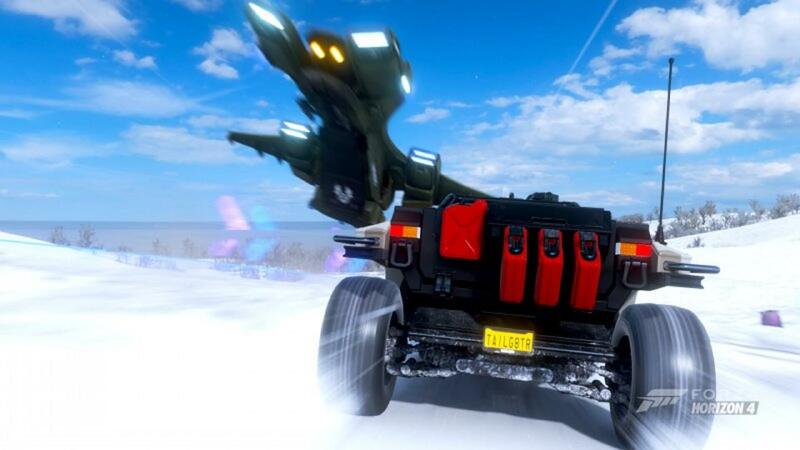 This article was published by Gary Slater (@AudiMan2011) on March 28th, 2019 in the Forza Horizon 4 category. Still waiting for the Ferrari 812 Superfast to return. I missed my chance the first time it was on the ForzaThon Shop. They seem to be withholding it deliberately since every other FT shop exclusive has appeared at least twice, my guess is it'll be a festival playlist reward next year. 1999 Elise from Motorsport, Welcome to Horizon! Let's welcome him to Horizon. Nacho Libre, Apple Slipper and The Chosen One like this. Look at how happy he is to be included! Such a happy boy! Flashfire926, bremics, Tak[TEC] and 5 others like this. Is the Elise a new addition??? I got confused because I assumed it was the same as the 111S and when I went to Auction it I realized it wasn't the same. I was like "Did I think the wrong Lotus was wheelspin exclusive???" I love driving this Elise so much. It's crazy how light they made it so it can go 0-60 in 4.3 with only 190 hp. Frozen Fun and Slip Slidin' Saloons lived up to their titles, especially the latter's breakneck final circuit. I'm glad championship prize cars aren't a thing of the past even if they turn out just to be returnees from previous games.